We Are Buying Homes Across Nebraska! Let Us Make You An Offer On Yours! Not every property should be listed on the MLS. What many sellers don’t know, is that often times, a direct sale is going to be the fastest, most efficient and most lucrative option! We can help you end the hassles and burdens of an unwanted house right now. Our process is fast and simple and will save you thousands of dollars in the long run. There are many benefits to working with us, and we can help you with all sorts of situations. Divorce, foreclosure, liens, inheritance, bad tenants, upside down, a house needing repairs… you name it, we can help you. We’ve purchased homes that were uninhabitable, that have been sitting vacant and even homes damaged by fire. Our process is much more simple than selling the traditional way. Using an agent isn’t the best choice for everyone. When you choose a direct sale, you decide if you want to sell. You pick the closing date. You decide when is the best time to move. You are in control. When you work with us, you will not have to wait while we secure financing. We have cash in hand, and are ready to close right away! How soon do you want to close? To get started, simply tell us basic property information, and we will begin building our offer. Once we do our research and we come to terms we both agree on, we are typically able to close in 7 days or less. A fast close will save you thousands over time! We want to help local homeowners by purchasing their unwanted homes. Our prices are ALWAYS honest and fair! Are you tired of dealing with the headaches from an unwanted home? 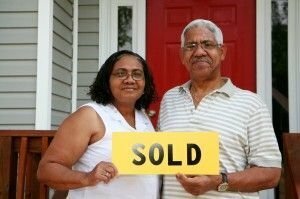 Our mission is to help homeowners like you who feel stuck or burdened with a house they no longer wish to own. No matter what situation you are facing, we have a solution for you!